The Enduro Backpack has been in development for a while now, and was officially launched at the Outdoor Demo in Bootleg Canyon, September 2017. 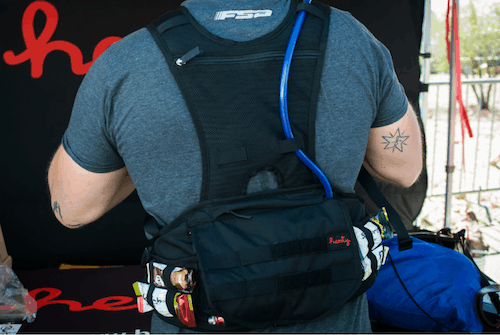 Hydration packs are not new, however our design really hits the mark when it comes to stability, comfort and protection for the user. The Henty Enduro Backpack can be worn as the base layer, keeping the water from freezing, when riding in sub-zero temperatures. The Enduro Backpack fits any standard 3L bladder and you’ll be surprised how the weight disappears. Quick and easy access to everything means you’ll spend no time rummaging through pockets and more time enjoying your ride! No Replies to "Enduro Backpack launches 2017"